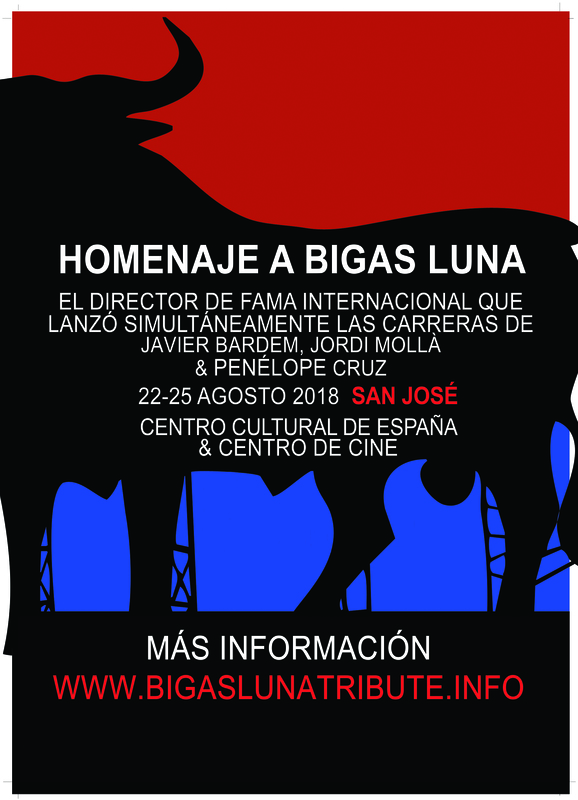 The tenth Bigas Luna Tribute took place in San José (Costa Rica) 22-25 August 2018. It was declared ‘Event of national cultural interest’ by the President of the Republic and the Ministry of Culture and Sports (official certificate). This event marked the 12th city and the 60th film screening over the 4-year period of the Bigas Luna Tribute to date. There are more events already planned for 2019. The San José homage included four screenings with introductory presentations and Q&A sessions, as well as a wine and tapas reception to mark the opening night on Wednesday August 22nd. The two participating venues were the Centro Cultural de España and the Centro de cine costarricense (Sala Preámbulo). Each screening included a presentation and a Q&A (cineforum) with academics from the University of Costa Rica and Durham University (UK). Jamón, jamón (1992) was introduced by Prof. Santiago Fouz Hernández (Durham). Huevos de oro (1993) by Dr Bertold Salas (Costa Rica) and La teta y la luna (1994) by Prof. Carolina Sanabria (Costa Rica). The San José homage culminated on Saturday 25th with the Costa Rican premiere of the posthumous documentary Bigas x Bigas (2016), presentation by Santiago Fouz and also via video by the film co-director Santiago Garrido Rúa. 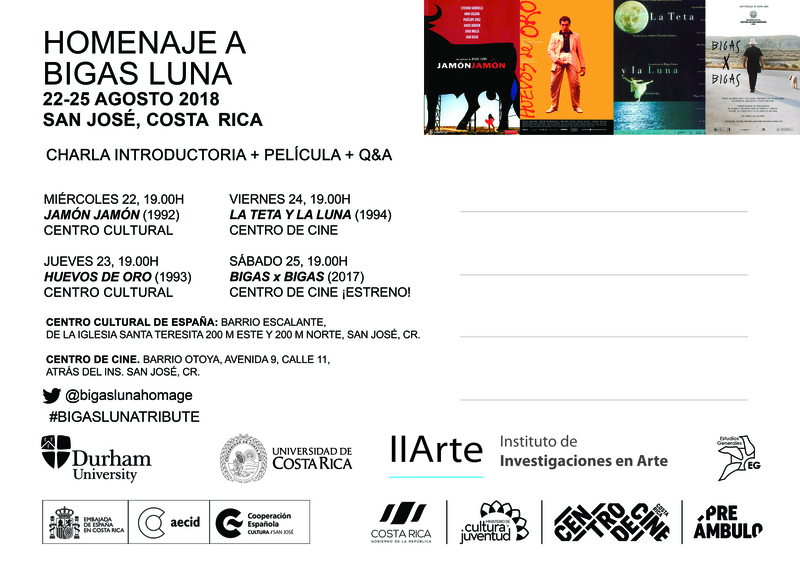 The Bigas Luna Tribute San José was generously funded by the Centro Cultural de España (Cooperación Española y Cultura), the University of Costa Rica, the Institute of Art Research IIArte, Durham University, and the Costa Rican Centre of Film Production (Centro Costarricense de Producción Cinematográfica). 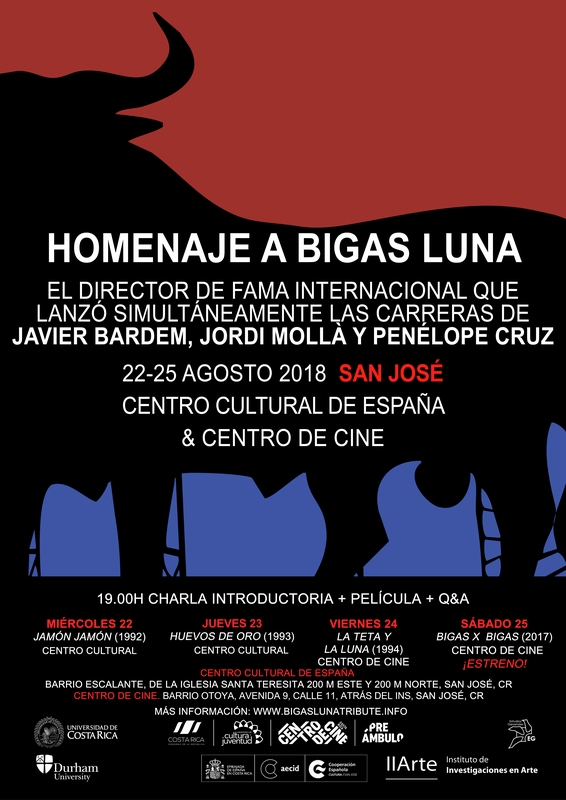 The ‘Homenaje a Bigas Luna’ was featured in the national newspaper La nación twice on Tuesday 21st August and Wednesday 22nd August, coinciding with the opening night.